PARIS: Resistance to antibiotic drugs is a “global health emergency” that threatens the progress made by modern medicine, the head of the UN’s health agency warned as a new report was published Wednesday. The report by the World Health Organization (WHO) found there is a lack of new treatments being developed to combat antibiotic-resistant infections, such as tuberculosis which kills around 250,000 people each year. “There is an urgent need for more investment in research and development for antibiotic-resistant infections including tuberculosis (TB), otherwise we will be forced back to a time when people feared common infections and risked their lives from minor surgery,” WHO director-general Tedros Adhanom Ghebreyesus said. The report also identified 12 classes of deadly bacteria, such as those that cause pneumonia or urinary tract infections, which are increasingly resistant to existing antibiotics and urgently in need of new treatments. While resistance to antibiotics is inevitable over time, it has been accelerated by the misuse of drugs, the WHO said. When the most common antibiotics fail to work, more expensive types are prescribed, resulting in longer illness and treatment, often in hospital. Cases are increasingly reported in which no existing drug works. 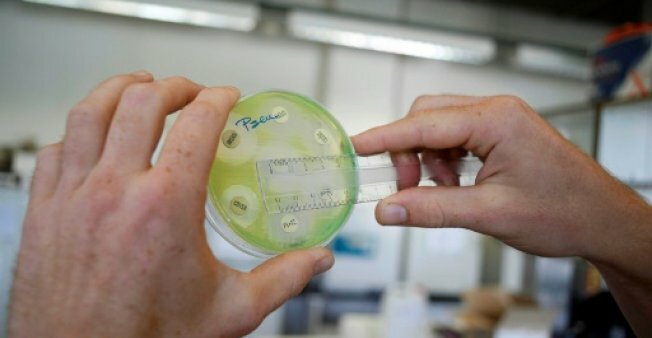 “Pharmaceutical companies and researchers must urgently focus on new antibiotics against certain types of extremely serious infections that can kill patients in a matter of days because we have no line of defence,” said Dr Suzanne Hill, the director of the agency’s department of essential medicines. The WHO study found that new drugs in the clinical pipeline are modifications of existing medicines and are only short-term solutions. Out of 51 new drugs under development, the agency classifies only eight as adding any value to current treatments. There are also very few oral treatments in the works, which are essential for treating infections outside hospitals. Germany, Luxembourg, the Netherlands, South Africa, Switzerland and the United Kingdom and the Wellcome Trust have pledged more than 56 million euros ($67 million) to help counter antimicrobial resistance. But Dr Mario Raviglione, the head of the WHO’s global TB initiative, said more than $800 million each year is needed to fund research into drug-resistant TB alone.